The past couple of days threw me into fervent spring fever. The garden is even at its initial tilling and live plants sit in a box on the floor in the kitchen awaiting their permanent spot in the soil. No sun shines today and only a brief respite of rain has been seen the entire afternoon. I should be grateful we have none of the white stuff as our neighbors in Oklahoma, but still…. To appease my grief for the sudden loss of warmth, I am posting a couple pictures of the spring blooms emerging despite the cold. 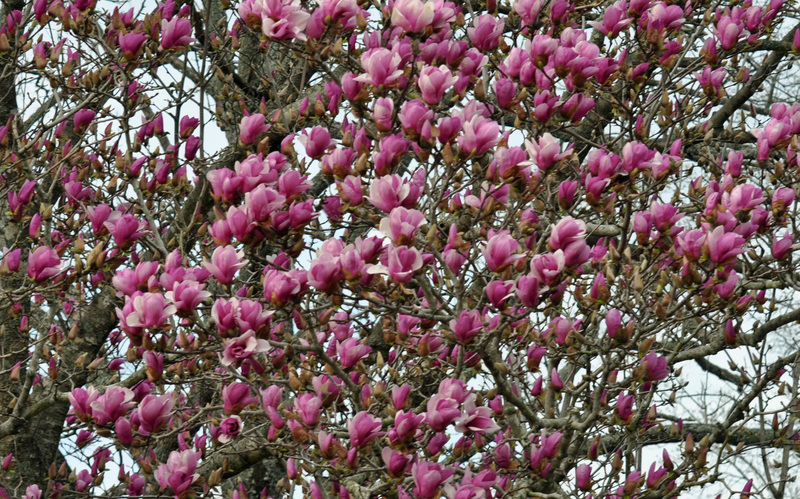 This is a tulip tree on the way to town. 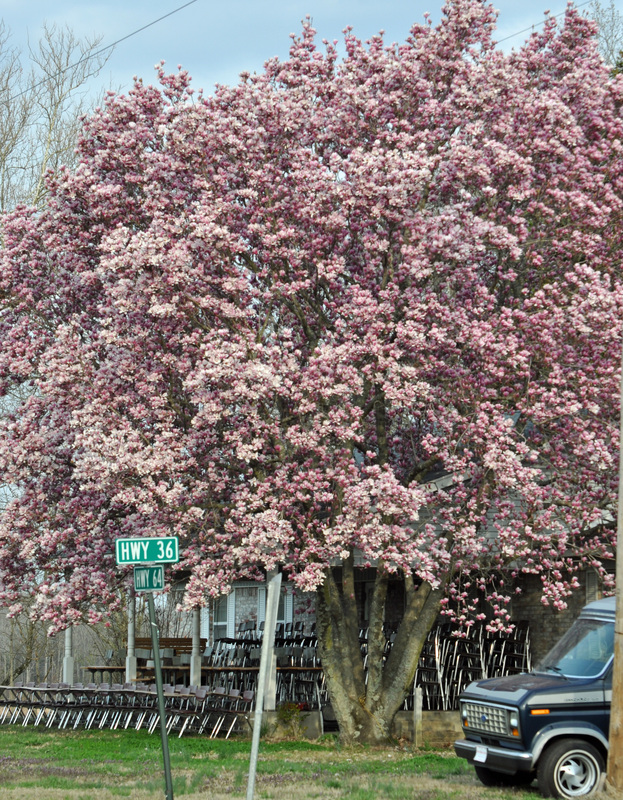 It is absolutely resplendent in it blooming glory. The blooms are mesmerizing. They are perfection. 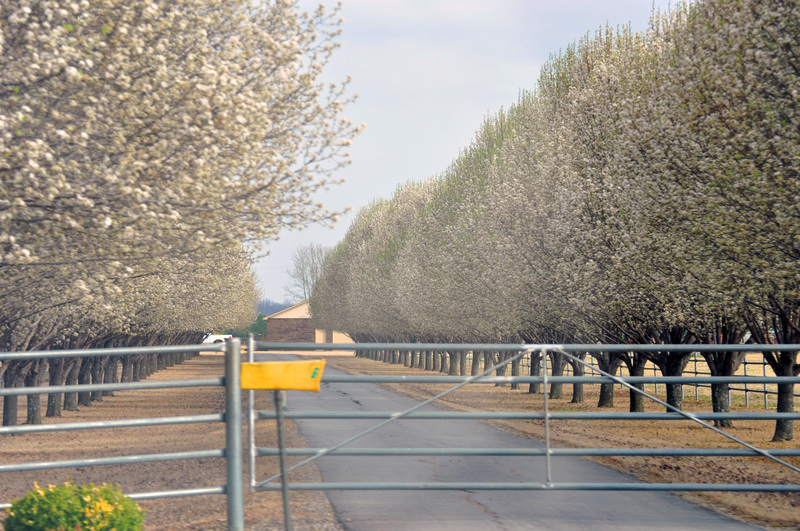 Then there are the Bradford pear trees. I was especially taken with these columns on a farm drive. 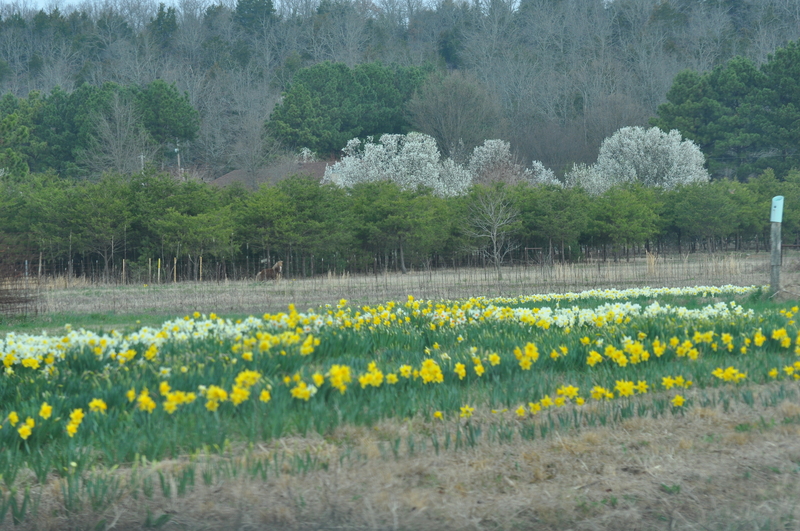 Then of course we have the every blooming daffodils, blooming three weeks late this year. 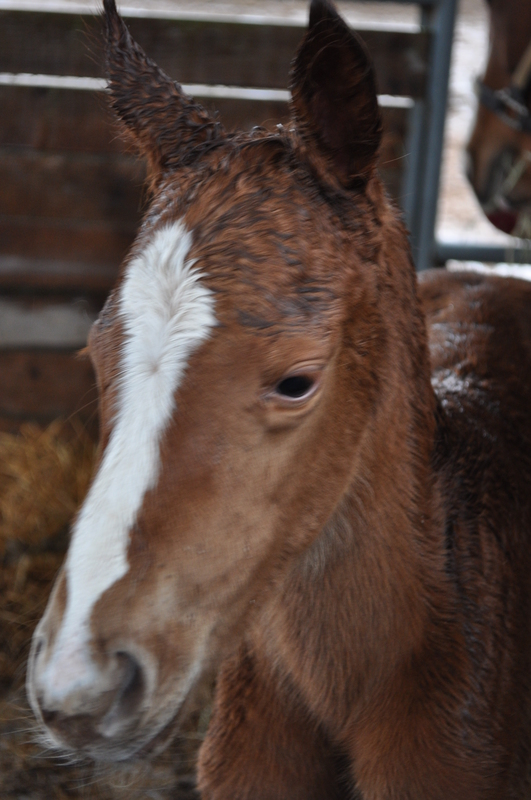 Then I have to mention the new baby who is frolicking in her damp stall, so full of life and content in her existence. She is the embodiment of joy. Thank you Lord. 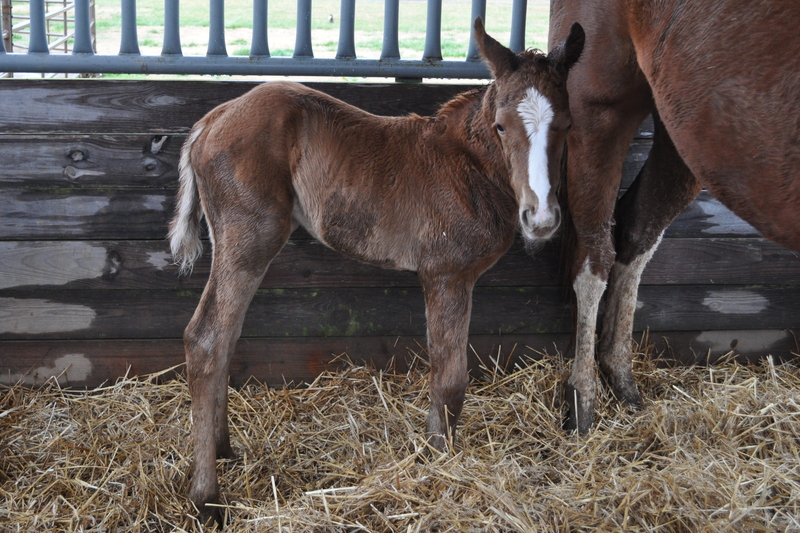 She is filling out nicely, even for a two day old. I think she will be the spitting image of her mama.